I love any kind of potatoes .... baked potatoes, fried potatoes, french fries, ect. 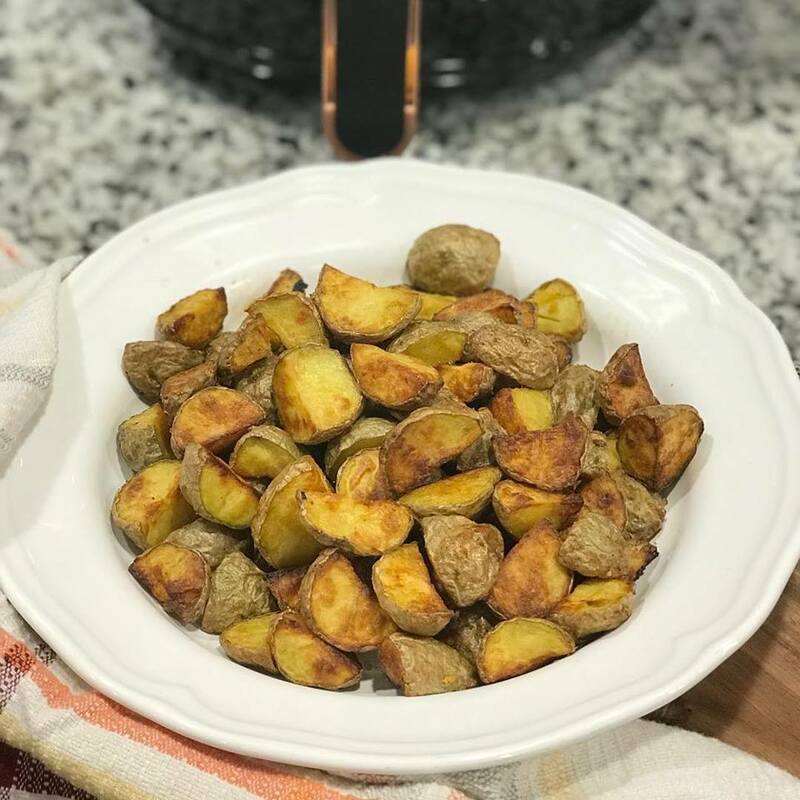 I especially like the fact I could make these roasted potatoes in 25 minutes, which made them a quick and easy side dish to get on the table fast! 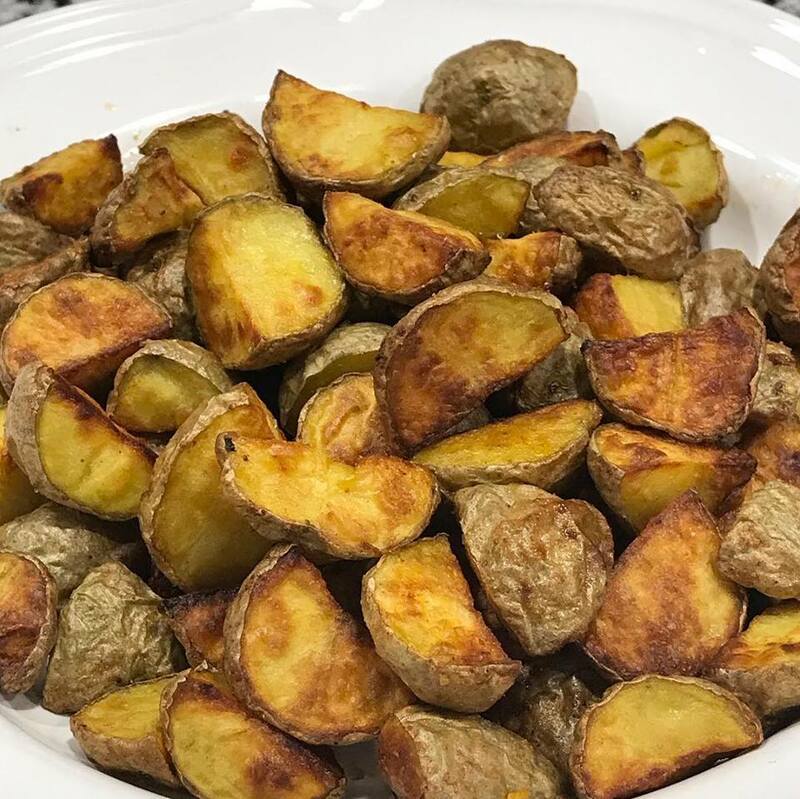 The Roasted Potatoes were crispy on the outside and soft on the inside. I usually have ketchup on my roasted potatoes but these were terrific just plain! Next time I make these I am going to salt and pepper them before cooking in the air fryer. I used seasoned salt on these tonight. Cut potatoes into quarters. Place the potatoes into a bowl. Drizzle olive oil over potatoes and stir with your hands to coat the potatoes with oil. Spray the fryer basket with cooking spray and pour the potatoes into the basket. Season with salt and pepper. Cook at 400 degrees for 25-28 minutes pausing the air fryer every 5-10 minutes to give the potatoes a stir.